Sammy has a dream of building space ships. His father Paul Asiimwe has a dream of helping his son reach his loftiest ambitions. This is a scenario that happens in many households in Uganda and Africa at large but one cant help but worry whether our globally connected children have the same shot at life as their counterparts in western and other industrialized countries. Our education system is antiquated, a relic of colonial times when Africans were trained to become office clerks or factory workers. It is a passive system that puts the teacher rather than the student at the center of learning. Information is supposed to be ingested passively and regurgitated at exam time. The one with the best memory wins the prize. Yet we know that intellectual ability has more facets than just retention of facts. Education that is relevant to this era must cater for the other facets of life like creativity, prediction, decision making, problem solving and collaboration. In line with our mission of integrating ICT in education , we came up with the Electric Block Kit. Electric Block Kit is an collection of safe plastic blocks that can be buttoned into each other to create varying electric circuits that actually produce real life value, for example, the doorbell or electric fan or FM Radio that actually changes stations. In an era of parental concern about screen time, the Electric Block Kit is educational ICT without the screen. The Electric Block Kit is a great supplement to help plug the holes left gaping by our own education system. It’s Sammy’s shot at competing with his counterparts in the more developed countries of the world. 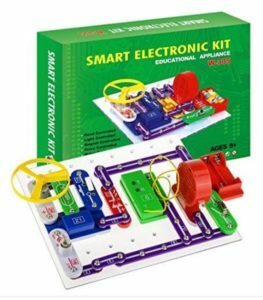 Through methods like constructivism and inquiry based learning, the Electric Block kit aids the students gain deeper understanding of how electronics work and how they relate to other aspects of life. The children create new knowledge through the process of self-questioning and research and inspires a sense of ownership of the learning from the student. This , unlike what we are used to, places the student at the centre of learning making learning engaging and relevant to the learner. 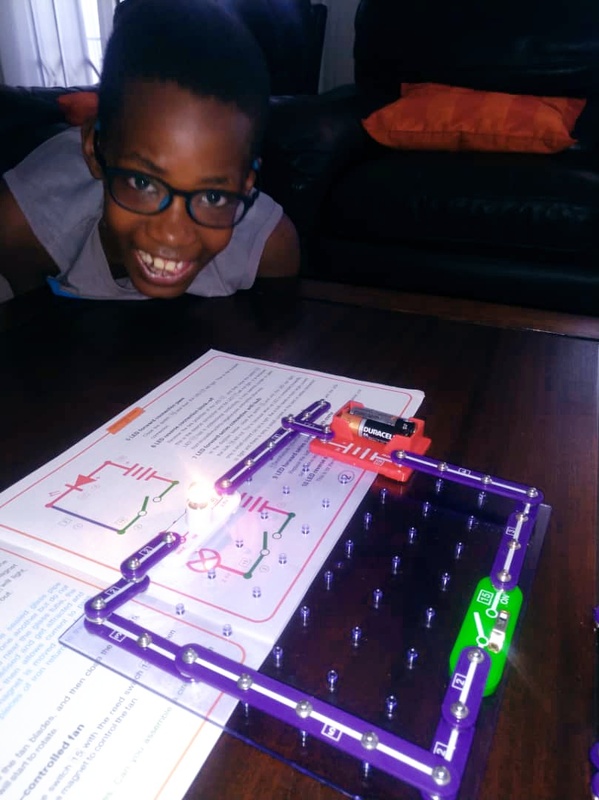 Uganda needs the Electric Block Kit!